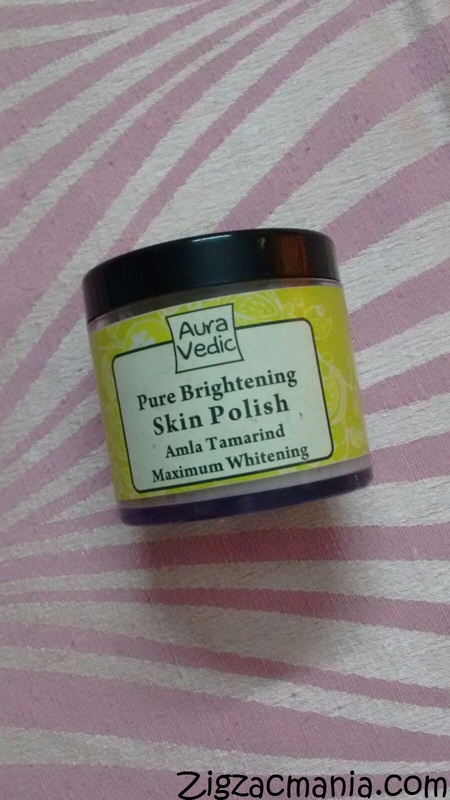 In today’s post I am going to review Aura Vedic Pure Brightening Amla Tamarind Skin Polish. This is my first product by Aura Vedic brand. 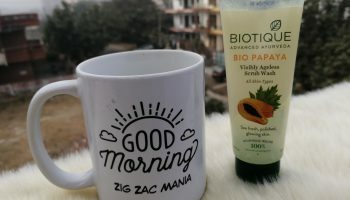 My friend Deepti gifted me this product. I love you sweet heart ♥♥ . 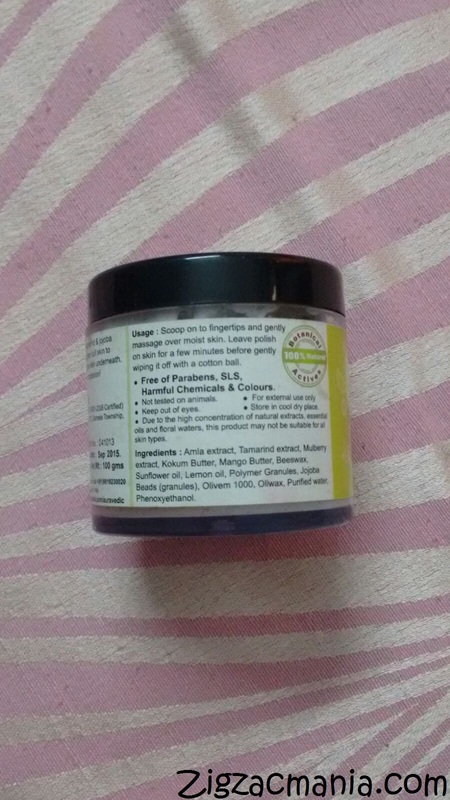 Product claims: Amla pulp combined with red tamarind and jojoba oil seeds dissolve dead cells, brighten dull skin to reveal healthy and visibly brighter skin underneath. 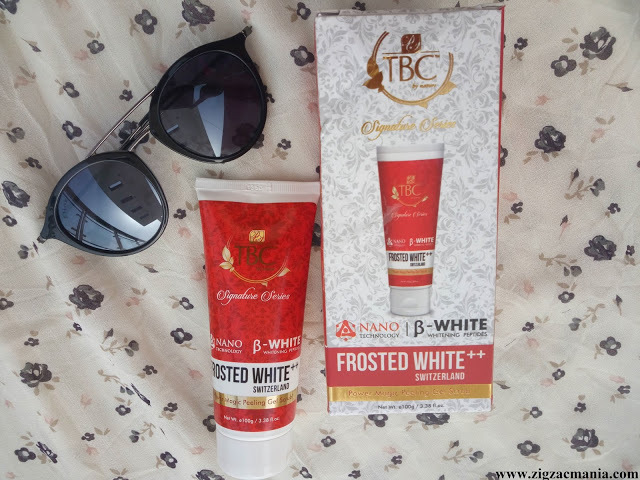 Reveal a bright and beautiful complexion! 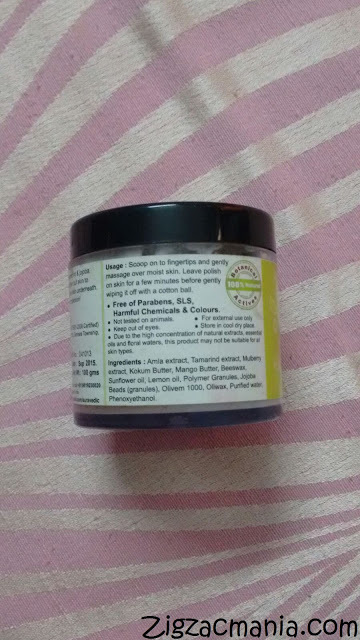 Online availability: Flipkart, Perfectskinforyou, Purpllr, Craftvilla etc. Directions for use: Scoop on to fingertips and gently massage over moist skin. Leave polish on skin for few minutes before gently wiping it off with a cotton ball. 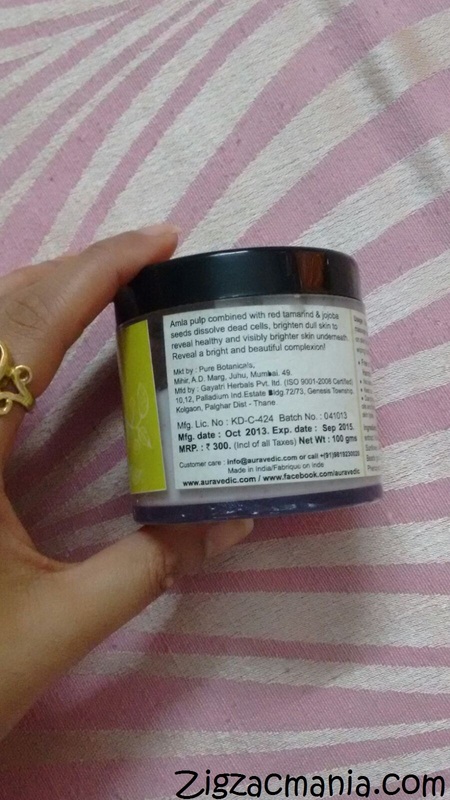 Packaging: This polish/scrub comes in a jar or tub packaging with a vacuum cap. This black color vacuum lid in very effective in it’s work and doesn’t allow spillage of scrub outside. Due to tub packaging it is very easy to take out scrub but for some this packaging may be a bit unhygienic. 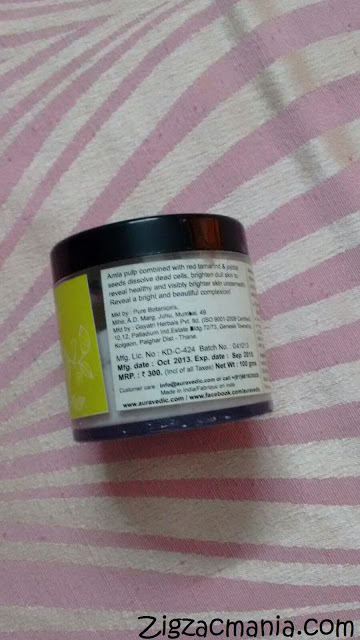 My opinion about this product: This scrub is light pinkish in color with little brown colored jojoba beads for exfoliation. It has a strong tamarind smell which may or may not affect your nose. It is the creamiest scrub/polish, I have seen till now. 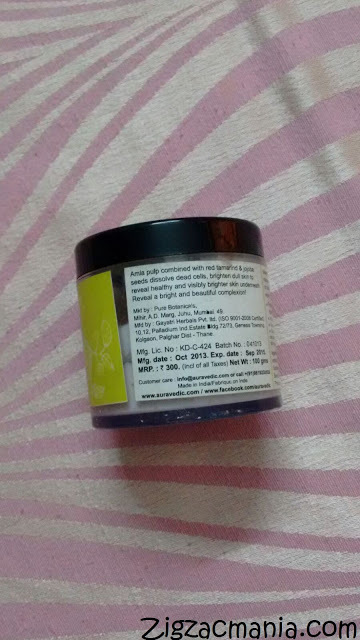 It is supposed to be a body polish but it is so gentle that I used it only on my face. I simply scoop out scrub/polish on to my fingertips and gently massage it over my moist skin. Leave polish on skin for few minutes before gently wiping it off with a cotton ball. Apart from face it is also effective on neck too. After use it makes my skin look fresh and glowy. The beads are very light and they would not harm the skin you it can be used for daily purpose. Also a good option for people with sensitive skin. As this scrub is more of butter so it proved to be a moisturizing scrub and doesn’t make my skin dry. 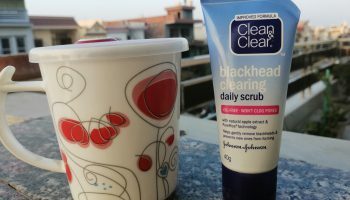 The major problem with this scrub/polish is due to its creamy nature & mild granules this scrubs fails in removing black heads. But if your purpose is skin brightening then this scrub or polish will win your heart. 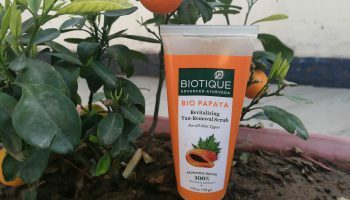 This scrub successfully brightens and makes the skin glow immediately. Also makes it really soft and keeps the skin moisturized and hydrated. I am in love with this product. 1. Mild in nature, do can be used daily. 2. Makes my skin look fresh and glowy. 3. Made up of all natural ingredients. 4. Have very creamy texture. 6. Never break me out. 7. Doesn’t contain parabens (pheww). 1. Bit difficult to find in local markets. 2. Not effective in removing blackheads. 3. Comes in tube packaging. Some may find it unhygienic. Great Post.. Thanks for Sharing ! 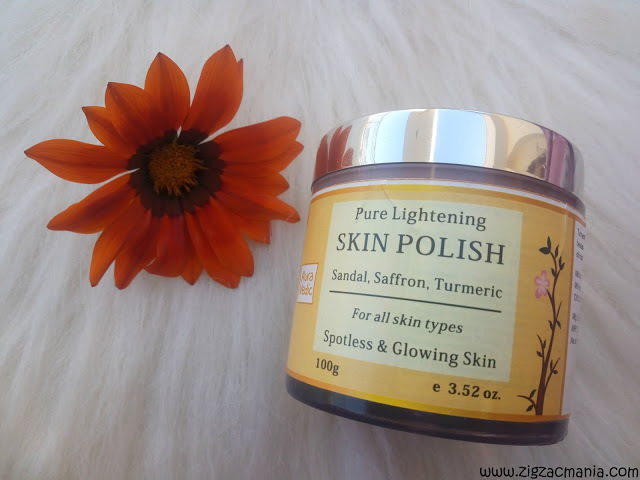 Great review, instantly brightens the skin is really something one can look forward in this product! !